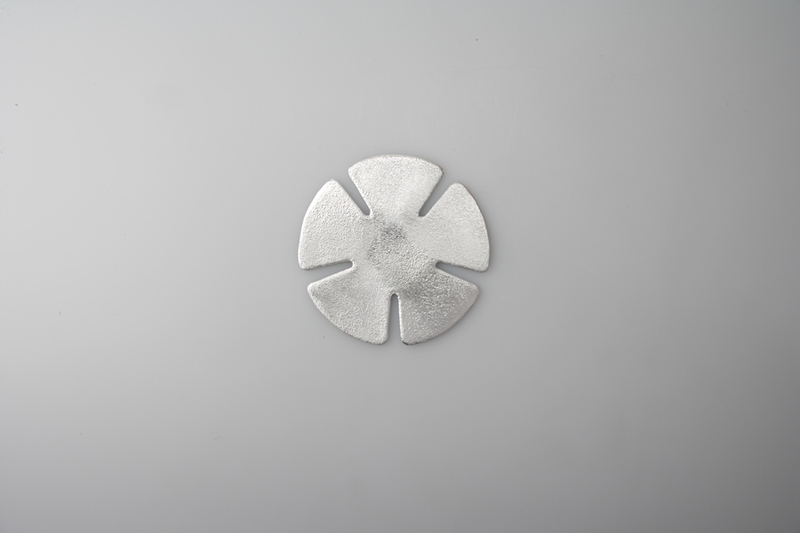 Known as the most expensive metal after gold and silver, tin is very malleable and flexible. Though having nearly the whiteness of silver, it does not rust easily nor will air tarnish it readily. It is significantly antibacterial, and also known as a material with high heat conductivity. Because it is known to absorb impurities and purify water, tin wares allow you to enjoy liquor, meals, sweets, or flowers. Tin ware cooled in a refrigerator for 2-3 minutes will keep the dish fresh and cold. Tincry is manufactured using traditional casting techniques which have been passed down through the generations for over 400 years in Takaoka City, Toyama Prefecture. 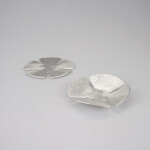 Enables you to bend the petals and to use as a confectionery basket, coaster, saucer, accessory tray, or soap tray. In 4 sizes.